Are you out of a job, or itching to leave your current one? Are you dreading the impending job search? It’s hardly as bad as a Game of Thrones-style zombie Armageddon. But after thriving in your professional life, facing a daunting job search can feel like a dismal turn of events. Let’s face it, you’ll be competing with highly qualified, capable candidates, which may feel like having to slay dragons and seize the 7 Kingdoms. But if you keep one concept at the heart of your career marketing and search strategies, you’ll be closer to the role that both you and your competitors are hankering for. 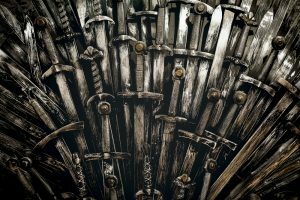 What makes everyone’s favorite series so compelling—with many of us teetering on the edge of our seats—is that each ruler vying for the throne offers something unique that convinces us of their likelihood of success. It’s what keeps us interested and in suspense. Likewise, to be a true contender in the job market—and to effectively intrigue a hiring manager—you must abandon your John or Jane Q Professional image and have the courage to say who you really are. Why does this take courage? Because it will rule out opportunities where your unique strengths are not required or desired. But it will open the door to those that do. Daenerys Targaryen: Exceptionally talented stakeholder manager, adept at forming strategic alliances and securing mission-critical resources. Approachable leader who wins teams’ trust and is committed to the well-being of staff at all organizational levels. Jon Snow: Ultimate dealmaker who brings unlikely adversaries into dialogue to find a way forward. Unmatched ability to overcome extreme challenges on the path to success (e.g., death). Anticipates macro-level changes before competitors do (i.e., zombie apocalypse). Cersei Lannister: Strong defender against disruptive market challengers, capable of leveraging brand recognition when resources are lacking (as she leveraged her affiliation with a historically dominant family). Vigorous leader who expects nothing short of excellence from her team. Tyrion Lannister: Influential coach and mentor who lifts others up to unprecedented levels of performance. Sharp instincts for recognizing smart moves amidst ambiguity and extreme complexity. Exceptional talent for networking, reaching the highest levels of business and government with ease. What about you? Is your personal brand crystal clear? Do your career documents and answers to interview questions such as, “Tell me about yourself” make your audience’s eyes glaze over with boilerplate language? Or do they truly differentiate you, building anticipation that you just might be the one who will take that coveted seat?